DCT Industrial Trust has almost finished its extended makeover. Shortly after going public in late 2006, DCT Industrial Trust Inc. (NYSE: DCT) embarked on an ambitious plan to reposition its 57 million-square-foot portfolio, a collection of industrial facilities spanning 30 markets in the United States and Mexico. The company was founded in 2003 as a non-traded REIT, and management realized that many of its so-called legacy assets carried little upside and tended to be in low-barrier-to-entry, Midwest markets. The Denver-based company got off to a strong start with its repositioning effort – selling about $700 million worth of assets in 2007 and 2008 and using the proceeds to pay down debt. Although it essentially halted asset sales during the Great Recession, DCT took other steps during the downturn to position itself for stronger growth down the road. Meanwhile, the company patiently waited for investor demand to return to its sector. DCT is now on the verge of achieving the portfolio repositioning goals it set for itself nearly seven years ago. Specializing in bulk distribution and light industrial facilities, it is the second-largest publicly traded industrial REIT as measured by the gross book value of its assets, about $4.1 billion at the end of June, and market capitalization, about $2.2 billion at the end of July, according to data from the company and NAREIT. DCT’s patience paid off. In the United States, industrial net absorption has been consistently positive, albeit sluggish, for the past three years, and industrial properties are now in strong demand among investors. Values in the industrial sector have risen by more than 55 percent from their 2009 trough and are now less than 5 percent below their 2007 peak, according to a Green Street Advisors report. Core assets in primary markets are in highest demand among investors, but improving fundamentals and steep prices for such properties have led some investors to pursue B-quality properties and secondary markets, according to the Green Street report. DCT sold about $155 million worth of assets last year in secondary, non-coastal markets. During the first half of this year, it sold about $111 million of assets, according to the company. 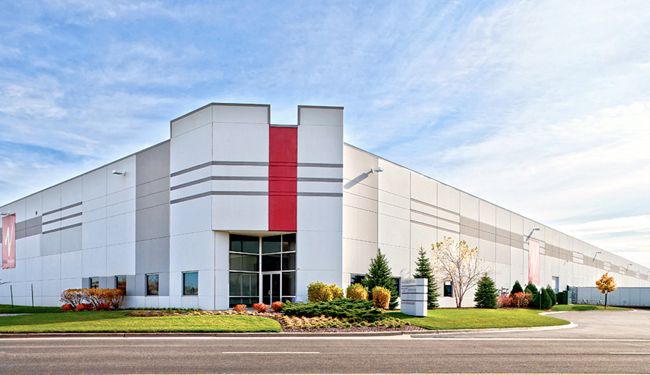 Rising tenant demand for industrial space has allowed DCT to stabilize assets prior to putting them on the market. While DCT put the brakes on asset sales during the recession, it capitalized on the downturn by snapping up talent and buying attractively priced land in coastal markets. In the course of the last five years, the company has added nine new offices – creating a stronger local presence in its markets – as well as a development platform. Prior to its initial public offering, the company joint-ventured with local and regional developers on projects. “The one benefit of a recession is the availability of great people for strong companies like DCT,” says Hawkins, who was president and chief operating officer of CarrAmerica Realty Corp. before joining DCT in mid-2006. A publicly traded office REIT, CarrAmerica was acquired by The Blackstone Group in early 2006. During the recession “we weren’t saddled with a large development staff or land bank, but the lack of a development platform was a weakness as far as our ability to create value and compete,” Hawkins adds. Strengthened by its new hires, DCT returned to development early in the recovery and has benefited from growing tenant demand for modern, Class-A facilities against a backdrop of low construction starts. The supply of industrial space in the United States has risen by less than 1 percent in 2013 and is expected to increase by about 1.5 percent next year, according to Green Street. Since the start of the recovery, DCT has begun some $180 million worth of development projects in six industrial hubs – Southern California, Miami, Houston, Seattle, Washington and Chicago – and many of those projects are now fully leased. The company expected to start another $160 million in development projects during the second half of this year. In 2011, DCT set out to expand its presence in the fast-growing Houston market, home to a booming energy sector, by breaking ground on a speculative project. Within four months of completing the project, DCT leased the entire 267,000-square-foot distribution center to a third-party logistics company. “DCT started developing early in the cycle and was successful leasing as it delivered quality product into an economic recovery,” says John Guinee, a managing director at Stifel, Nicolaus & Co.
DCT also wasted no time returning to the acquisitions market. Since the start of the recovery, it has purchased some $800 million worth of assets in primary markets, making many of its acquisitions before pricing began to surge. It has tapped the public equity markets to raise capital to fund acquisitions and development projects, raising about $480 million through stock offerings since 2010. In many cases, the company has purchased potential value-add properties, with the goal of improving their performance through renovation and leasing efforts. Last year, DCT invested about $338 million to acquire 32 buildings comprising 6.2 million square feet of space. The average first-year yield on its acquisitions was 6.3 percent, while the stabilized yield is expected to be 7.1 percent, according to the company’s 2012 annual report. “We have created substantial value through our ability to source early and well assets that are now part of our portfolio,” Hawkins says. Thanks to its repositioning efforts, DCT has boosted its presence in coastal industrial markets, where tenant and investor demand runs deep. In 2006, the company set out to increase the percentage of its rents generated in coastal markets from 32 percent at the time of its IPO to at least 50 percent ultimately. Big retailers and logistics companies tend to favor such markets because they are generally in close proximity to major population centers and seaports and easily accessible by air and ground transportation. In terms of the supply of industrial space, coastal markets are also relatively insulated from new competition because available land is scarce and municipalities tend to be fairly restrictive when it comes to development, says Hawkins. Assuming completion of pending asset sales and acquisitions and taking into account signed leases for development projects, about 46 percent of the company’s rents came from coastal markets. In an effort to sharpen its focus, DCT also set out seven years ago to reduce the number of markets in which it owns properties, from 30 back then to less than 20 ultimately. As of last August, the company had exited 10 markets, through the sale of properties in the middle of the United States and its entire portfolio in Mexico. In October, DCT was slated to close on the sale of its assets in Mexico to an investment trust of Macquarie Mexican REIT (BMV: FIBRAMQ). “The real goal of the portfolio repositioning plan was to strengthen the company’s ability to consistently increase same-store net operating income, cash flow and net asset value,” Hawkins says. Once the company has met its repositioning goals, it will continue to evaluate opportunities to strengthen its portfolio by selling lower-growth assets and redeploying capital into assets with more upside. “Portfolio management and capital recycling has been part of our strategy from day one,” Hawkins says. The company’s progress has not gone unnoticed. “The management team has done an excellent job laying out a strategy and quarter after quarter sticking to their knitting,” says George Auerbach, a managing director at International Strategy and Investments Group. Analysts and investors have also taken note of the fact that DCT has managed to grow its earnings while overhauling its portfolio. Adjusted funds from operations rose to about $118 million in 2012, up from some $107 million in 2011 and from approximately $93 million in 2010. In the second quarter of this year, adjusted FFO totaled $33.6 million, up from $27.8 million for the prior-year period, according to the company. Thanks to much-improved investor sentiment toward the industrial sector and DCT in particular, the company’s stock has been one of the strongest performers in its sector lately. It had posted year-to-date total returns, as of the end of July, of nearly 18 percent, according to NAREIT. Industrial REITs gained just over 9 percent for the same period. Despite the tepid pace of economic growth, Hawkins is optimistic that tenant demand in the industrial sector will remain healthy. He is also confident that the supply of new space will stay in check. Construction, he says, is likely to remain at relatively low levels because debt capital, which was plentiful in the past, is still hard to obtain. Furthermore, he says there are fewer active developers than there were prior to the recession. Many developers, he notes, are relying on equity capital from institutions to finance projects. “It is a very different capital environment today than it was prior to the recession, and that will impose some long-term discipline over the industry,” Hawkins says. While development is an attractive proposition now, DCT will continue to take a disciplined approach, Hawkins says. It will keep un-leased development and redevelopment projects to less than 15 percent of its total asset base. Rather than land banking, the company will continue to purchase property as needed. Even in a slow-growth environment, demand for warehouse and distribution space is likely to remain healthy thanks in part to rising Internet sales, according to Hawkins. Many brick-and-mortar retailers have added e-commerce platforms, which has contributed to the growth of online sales and fueled demand for warehouse and distribution space, he says. The recent uptick in U.S. manufacturing activity is also good news for owners of industrial space. Manufacturing activity hit a five-month high in August as hiring increased and new orders rose at their fastest pace since January. The accelerating housing recovery is also driving demand for industrial space, Hawkins says. Home sales and construction activity boost demand for building materials, furniture and other household goods, all of which flow through warehouses, he notes. What’s more, distribution and logistics companies remain focused on controlling costs and are continuously seeking ways to improve the efficiency and speed of their supply chains, which gives rise to strong demand for modern, bulk warehouses, Hawkins says. Anna Robaton is a regular contributor to REIT magazine.